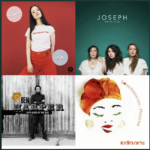 Special Announcement: Our Summer playlist is available on Spotify. Listen now. Don’t be afraid to fail big. But who gets to fail without real consequences? And how do we recover from life’s most disappointing moments? 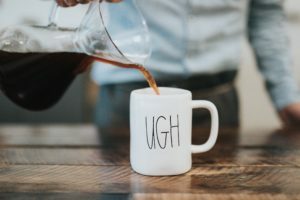 Today we discuss some of our failures, our feelings about them, and how we’ve learned to cultivate resilience through building our internal “toolbox” of skills and practices. Ashley has been watching the Queer Eye reboot on Netflix. 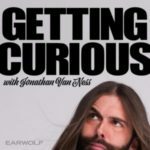 Jonathan Van Ness, one of the cast members, has a podcast called Getting Curious. His episode “How to Apply Ethics to Everyday Life,” a conversation with Christian ethicist Ryan Huber, whose scholarship focuses on German theologian and anti-Nazi activist Dietrich Bonhoeffer, offers an accessible way to learn more about a complex, nuanced issue. 600 women sit-in at the Senate Building protesting family separation, wrapped in foil blankets. Almost all of them were arrested. We’ll be taking the month of August off from recording. We’ll be back with new episodes in September.